If you’re not up for the traditional golfing experience, then why not try mini golf? There are several locations in the area to have a swing and a giggle. 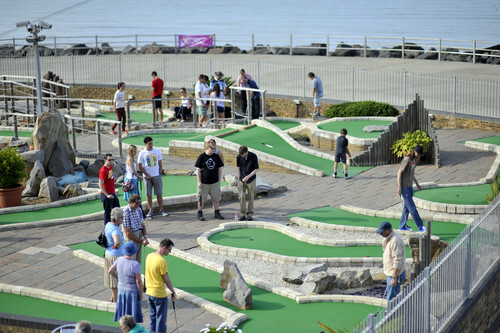 Established in 1993 and being a break away from the general golfing experience, mini golf is known for being a unique and enjoyable experience. There’s a cafe too so that you can make a day out for everyone. 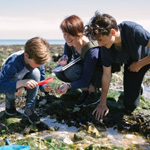 This is something which the younger holiday goers might enjoy, so it’s well worth checking out, and if you need more details, then you can find them here. Here you’ll encounter dinosaurs, pirates, waterfalls, a volcano, a couple of rafts and a variety of animals. This is part of the Manston Golf Centre. If it’s relaxation you enjoy but secretly crave a more competitive pastime why not indulge your family into the world of crazy golf? 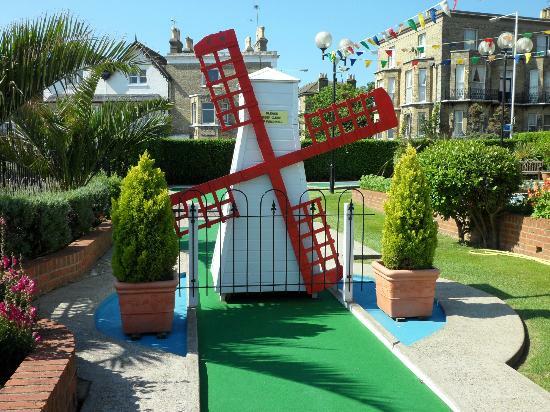 Quex Adventure Golf in Birchington, Kent is a great destination to fulfil your cravings. It is fun and action packed for all the family regardless of age. The 18 holes have been put together with inventive, artistic endeavour as you have to negotiate old castles, bridges, a garden shed, waterfalls and towers to name a few. There may also be a moving obstacle to manoeuvre around as a family of residential ducks often decide to walk across your putting line. The idea of Adventure Golf is to get the ball into the hole taking the least amount of shots. The mission is to get all the family from young children to the elderly grandparent to participate. 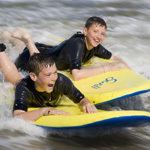 It really is fun for all the family creating lasting memories of the fun times. During the heat of battle when putters become a blur and balls fly around like cannonballs it may be a good time to take a break. This is the time the ice-cream parlour comes into its own and will cool everyone down in readiness for the last few holes. Strokes Adventure Mini-Golf course consists of 18 holes that are designed to test the skills and patience of everyone who takes up the challenge. The course is situated on Westbrook Promenade overlooking the beautiful sea of Westbrook Bay and has many natural built in hazards such as rockscapes, plants and water features. The course has been designed for children aged from 2 years old right through to the elderly should adventure golf be their thing . Children love to play with grandparents especially if at the end of the day they can gain the bragging rights as to who won! This mini-golf course really is a challenge for children and adults alike. It is great fun and something that all the family can participate in together. There are not many activities these days where that is possible, especially as all concerned will enjoy it. If you have pushed yourself too hard and need a break, refreshments and a bite to eat can be had at the on-site restaurant. When you are finished and refreshed return to the undulating rolling lush green grass of the mini-golf and enjoy the experience. 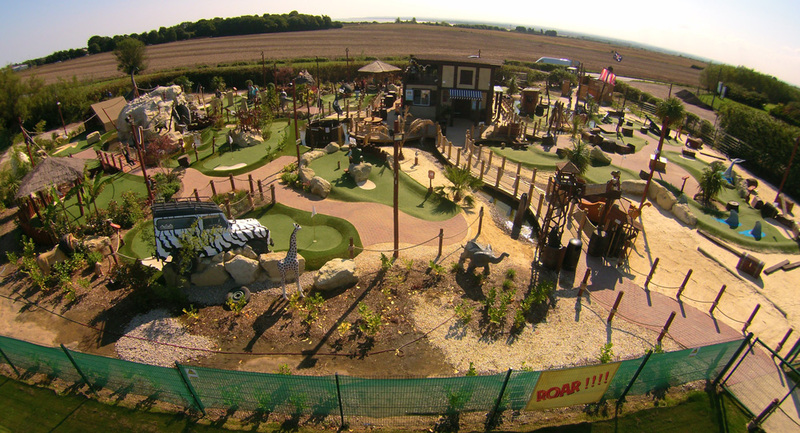 Strokes Adventure Mini-Golf course is also used for the serious golf fanatic as it is affiliated to the British Mini Golf Association which has enabled the course to host the prestigious British Open five times.